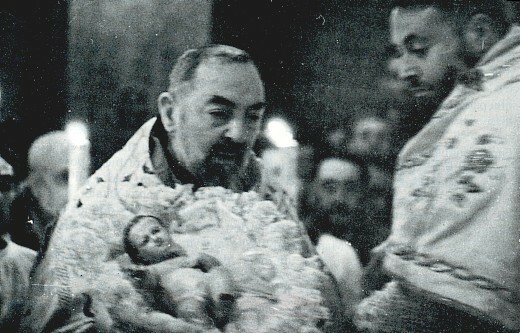 Feast of the Epiphany: The gifts of the Magi were both practical and prophetic. The nation of Israel managed to kill every prophet God sent to them. Jesus, the prophesied Messiah, and a prophet in his own right, would be treated similarly. So the gift of myrrh … typically used to prepare the dead for burial … was indeed both practical and prophetic. Since the time of Moses and Aaron, the burning of incense in the Tabernacle/Temple had always been a priestly function, and it remains so, even today. Jesus was and is our heavenly high priest, so the gift of frankincense was indeed both practical and prophetic. Gold was a gift fit for a king. According to 1st Timothy 6:15, Revelation 17:14 and 19:16, Jesus Christ is King of Kings and Lord of Lords. Besides, the gold would come in handy for expenses, during the Holy Family’s subsequent flight to Egypt. So, the gift of gold was indeed both practical and prophetic. The concept of the promised Messiah as the God-man who was also priest, prophet and king is now widely understood, but that certainly was not the case in the Middle East, around the beginning of the 1st century. Yet, on the Feast of the Epiphany, we celebrate the fact that the Magi somehow managed to get it right. Is not this the carpenter, the (illegitimate) son of Mary…? Today’s Gospel reading has a lot going on beneath the surface that most people never realize. And Jesus said to them: A prophet is not without honor, but in his own country, and in his own house, and among his own kindred. Jesus had been going around fulfilling all the various Messianic prophecies, and this was not lost on the inhabitants of Nazareth, who had already most certainly heard about it. 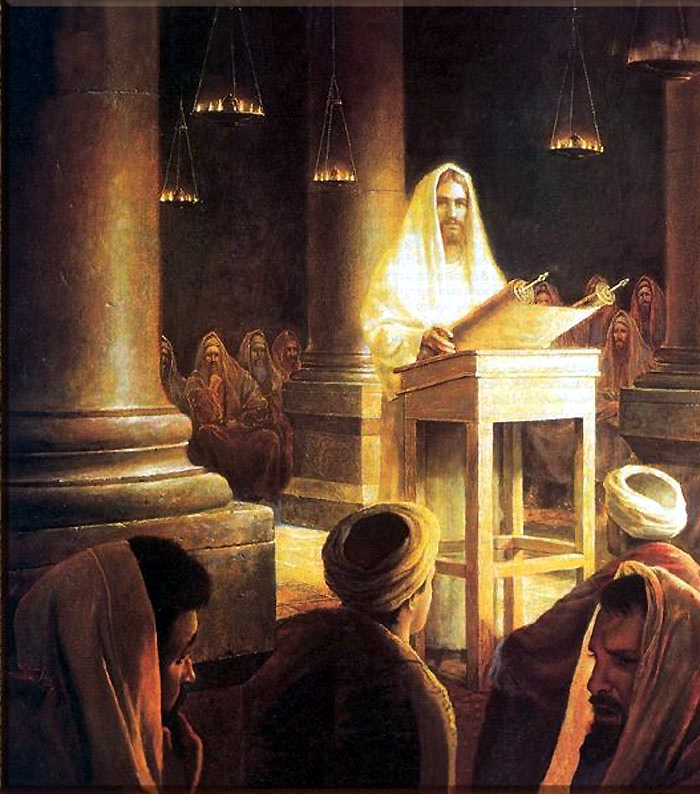 Now Jesus arrives back in his home town, compete with disciples, and begins to teach and preach in the synagogue. His teaching was of course, supernaturally impressive. Wait a minute, they thought … this must be a trick! How could the illegitimate son of Mary be the Messiah of Israel … the one who will banish Herod and the Romans, and restore the Kingdom of Israel to the glory it experienced under David and Solomon? This Jesus, who we know all too well, has the gall to stand in our presence and declare himself to be the Messiah. This is nothing short of blasphemy. We should kill him! From this we can also understand that the Blessed Virgin Mary likely had to contend with the scandal of her supposedly illegitimate pregnancy throughout her earthly life. Nor is that surprising, considering the fact that many of today’s Christians also fail to accept the dogma of Mary’s perpetual virginity. From this short passage we learn of the profoundly distorted Messianic expectations of the Jewish people, who to this day, although remarkably consistent in their rejection of Jesus Christ, have no idea who their promised Messiah will be. No wonder then, that they eventually handed the real Messiah over to the Romans, to be crucified! And he came to Nazareth, where he was brought up: and he went into the synagogue, according to his custom, on the sabbath day: and he rose up to read. And the book of Isaias the prophet was delivered unto him. And as he unfolded the book, he found the place where it was written: The spirit of the Lord is upon me. Wherefore he hath anointed me to preach the gospel to the poor, he hath sent me to heal the contrite of heart, To preach deliverance to the captives and sight to the blind, to set at liberty them that are bruised, to preach the acceptable year of the Lord and the day of reward. And when he had folded the book, he restored it to the minister and sat down. And the eyes of all in the synagogue were fixed on him. And he began to say to them: This day is fulfilled this scripture in your ears. And all gave testimony to him. And they wondered at the words of grace that proceeded from his mouth. And they said: Is not this the son of Joseph? And he said to them: Doubtless you will say to me this similitude: Physician, heal thyself. As great things as we have heard done in Capharnaum, do also here in thy own country. And he said: Amen I say to you that no prophet is accepted in his own country. In truth I say to You, there were many widows in the days of Elias in Israel, when heaven was shut up three years and six months, when there was a great famine throughout all the earth. And to none of them was Elias sent, but to Sarepta of Sidon, to a widow woman. And there were many lepers in Israel in the time of Eliseus the prophet: and none of them was cleansed but Naaman the Syrian. In the above passage from Luke (which we assume is detailing the same event) we have Jesus being even more specific in his Messianic preaching. But when the men demand to see some miracles, Jesus subsequently declines, so they rush him over to a nearby hilltop and attempt to push him off, to his death. Of course, they fail, since no one … not event the devil himself … has the power or the authority to take the life of the only begotten Son of God … let alone a man who is totally without sin. While many assume the Jews possessed a solid understanding of the meaning of their own sacred scriptures, history and tradition proves that to be almost totally untrue … since if they did … they would surely have recognized the Son of God … when he personally became one of them … living for a time in an obscure, little town … in first century, Roman occupied Palestine. Could lead codices prove to be ‘the major discovery of Christian history’? British archaeologists are seeking to authenticate what could be a landmark discovery in the documentation of early Christianity: a trove of 70 lead codices that appear to date from the 1st century CE, which may include key clues to the last days of Jesus’ life. As UK Daily Mail reporter Fiona Macrae writes, some researchers are suggesting this could be the most significant find in Christian archeology since the Dead Sea scrolls in 1947. The codices turned up five years ago in a remote cave in eastern Jordan—a region where early Christian believers may have fled after the destruction of the Temple in Jerusalem in 70 CE. The codices are made up of wirebound individual pages, each roughly the size of a credit card. 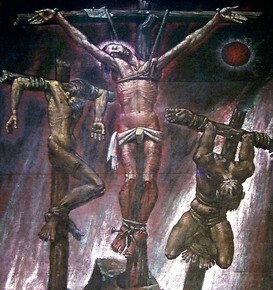 They contain a number of images and textual allusions to the Messiah, as well as some possible references to the crucifixion and resurrection.